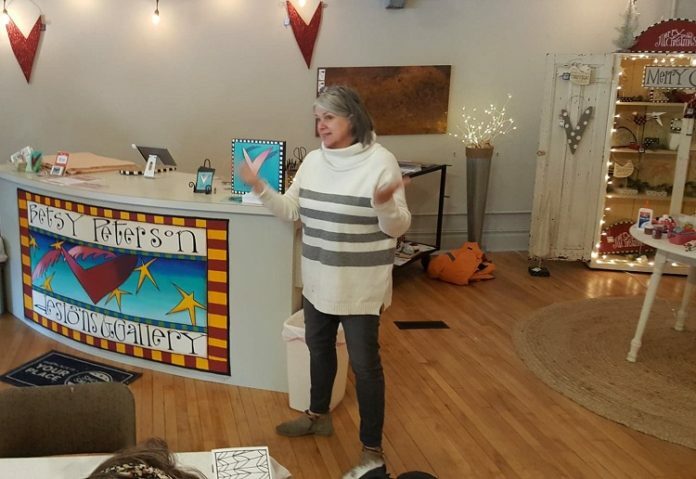 Betsy Peterson of Betsy Peterson Designs Gallery, 1121 Second St. in downtown Perry, has a big heart for chocolate this Valentine's Day. 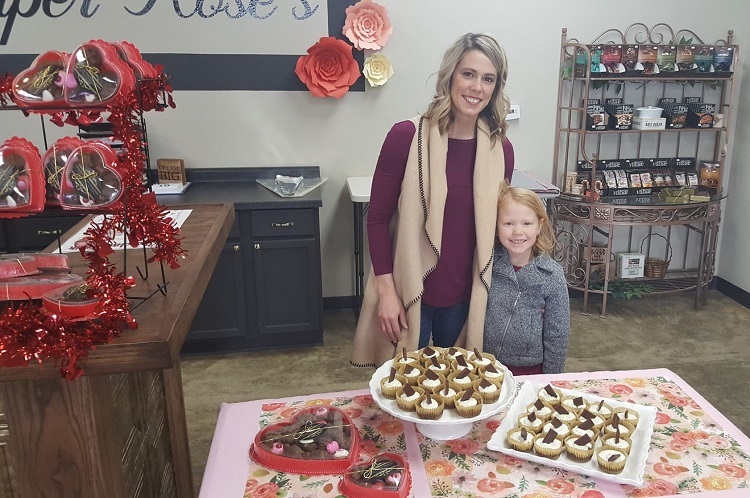 Cherie Welch, left, owner of Harper Rose’s Floral and Gifts at 503 First Ave., and her daughter, Harper, 4, are ready with for the Chocolate Walkers mouth-watering s’mores cheesecakes. 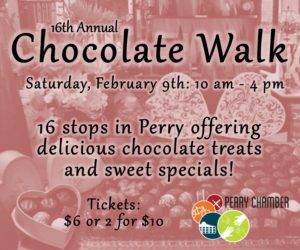 The Perry Chamber of Commerce’s 16th annual Chocolate Walk is sugaring Second Street and other commercial locales in Perry Saturday in the annual celebration of sweetness. The Valentine’s Day-themed event is a chance for local businesses to advertise their favorite chocolate-themed sweets, with 16 stops in Perry offering delicious treats and sweet specials this year from 10 a.m. to 4 p.m.
Last year’s walk was extended to into two-day affair so chocolate lovers could savor the sweetness at their leisure, but the 2019 event has returned to its one-day format. For a full list of businesses participating in this year’s Chocolate Walk, visit the Perry Chamber of Commerce’s Facebook page. 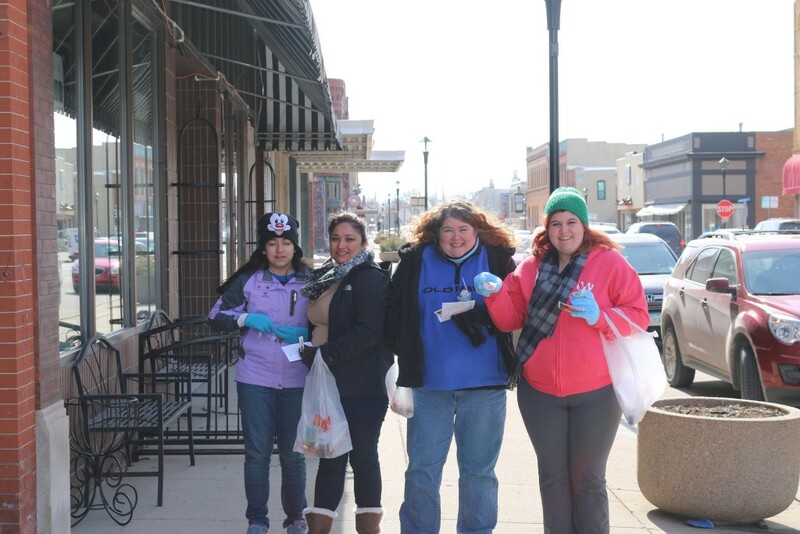 Sweet street drew these four ladies to the 2015 Chocolate Walk.